House Clearance Northumberland: I will be traveling from the US to Edinburgh next week to clear a house in Morpeth, Northumberland. I was hoping to get a rough idea of the cost involved in this before we decided to pursue this option. It is a small house, roughly 1200 square feet. Two bedroom, living room, kitchen and bathroom. There is also a garage and one shed. The home is in good condition with little garbage etc and most of the personal items will have been removed. 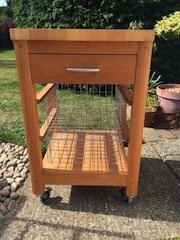 A solid pine free standing butchers block, on castors, having one drawer above two wire baskets. 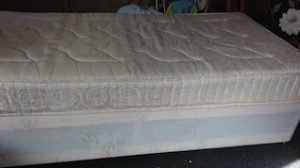 A single divan bed base on castors, together with a matching single mattress. 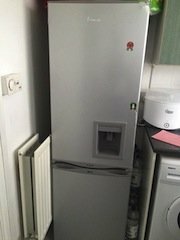 A tall standing silver Swan, two door fridge freezer, with built in water and ice dispenser. 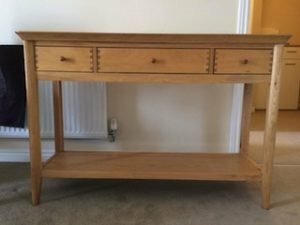 A large solid oak hall console table, having a small drawer to either side of a large central drawer. 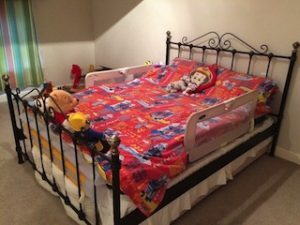 A black cast iron and brass king sizer bed frame, together with a king size mattress. 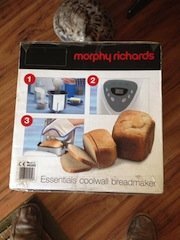 A brand new stainless steel Morphy Richards, essentials cool wall bread maker. 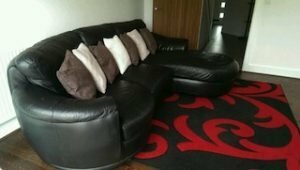 A four seater curved, right hand corner sofa, upholstered in black faux leather. 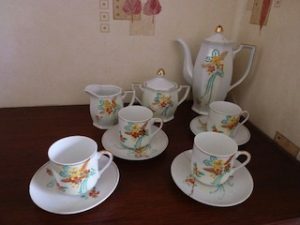 A vintage style porcelain tea set, hand painted with colourful flowers, to include a teapot, a lidded sugar bowl, a milk jug, four teacups and four saucers. 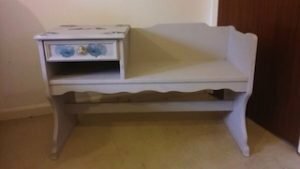 A hand painted cream, solid wood telephone seat, having a drawer above shelving space to the left side. 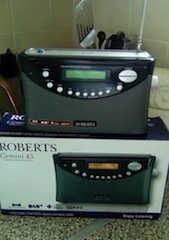 A grey Roberts Gemini 45 portable radio. 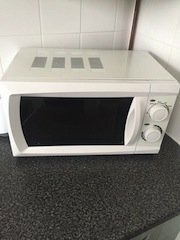 A white Currys Essentials 800W microwave oven. 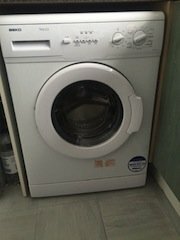 A white Beko under counter 1200 spin washing machine. 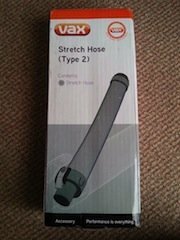 A brand new boxed Vax stretch hose. A grey and yellow Dyson DC45 upright vacuum cleaner. 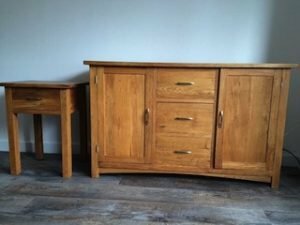 A solid oak sideboard, having a cupboard to either side of three central drawers, together with a one drawer side table. 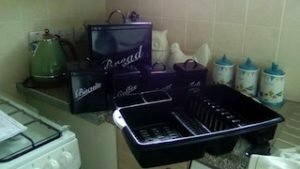 A collection of black kitchen accessories, to include a plastic cutlery drawer, a large bread bin, a biscuit tin and tea, coffee and sugar canisters.